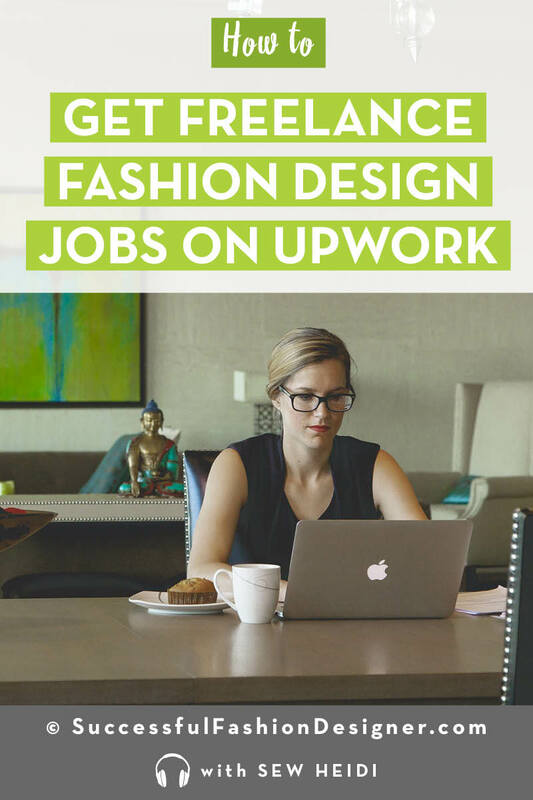 If you’ve ever browsed Upwork to get freelance fashion design jobs, you probably felt like it was a lot of junk and low paying gigs. But it is possible to get real projects from legit companies (who pay a fair wage). 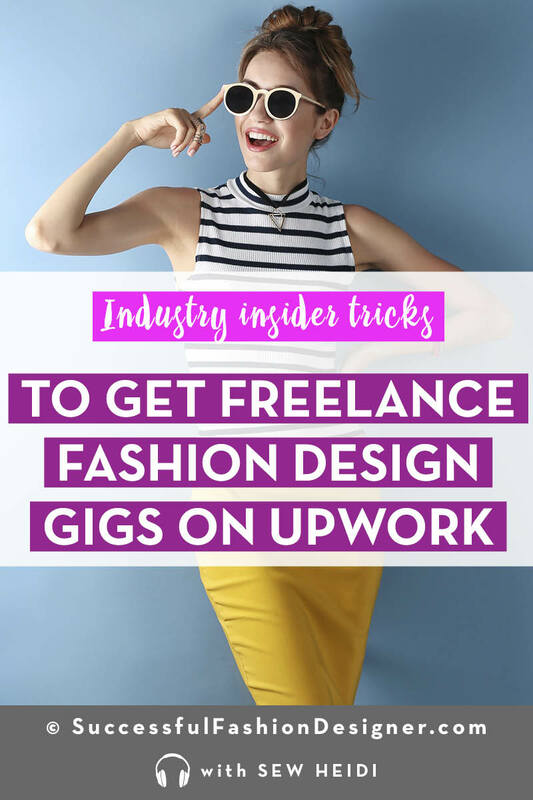 In this interview, fashion freelancer Kim shares how you can get more freelance projects on Upwork. Kim Dippel is a fashion designer with 12 years of experience working for surf brands like Oneil and Quiksilver. 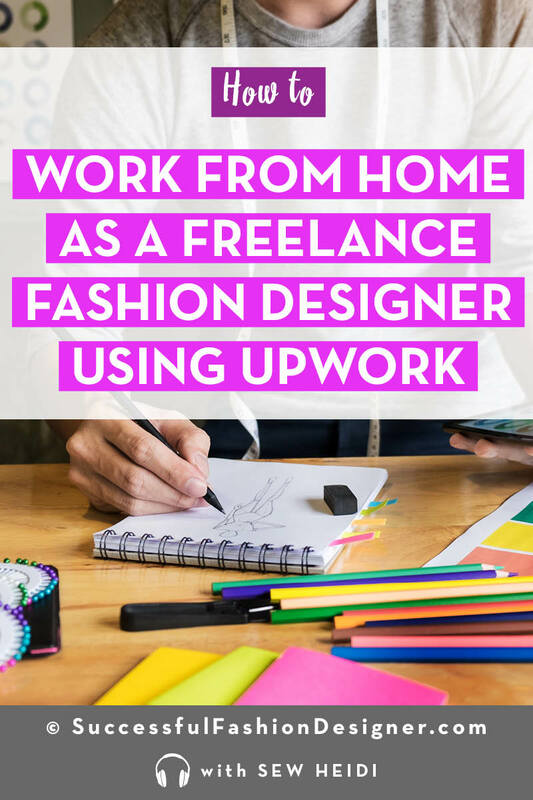 After having a baby and moving away from a hub, she wanted to try freelancing. After not having any luck with her existing contacts, she turned to UpWork where she successfully landed a few ongoing clients that have kept her consistently busy. In the interview, Kim shares how to land your first few gigs, why honesty and transparency is essential to building relationships, and how to raise your rates with clients. 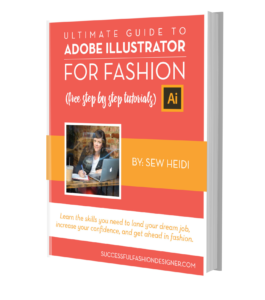 Heidi: Hey everybody this is Sew Heidi and you’re listening to the Successful Fashion Designer Podcast we all knew that the fashion industry is brutally competitive and it takes loads of hard work to get ahead the problem is that everyone’s secretive and tight-lipped about their ways. 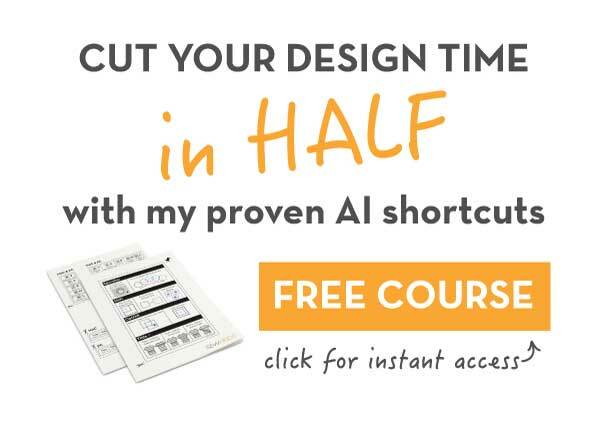 After working as a designer and educator for over a decade I wanted to help break down those barriers and bring you valuable knowledge from industry experts and this show is exactly where you’ll find that whether you’re trying to break into the fashion world make yourself more marketable launch your own label or become a successful freelancer we’ll help you get ahead in this cutthroat fashion industry. 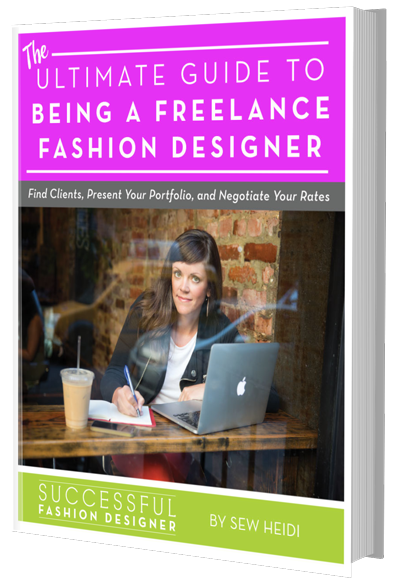 This is episode 16 of these Successful Fashion Designer Podcasts, and today I’m chatting with Kim Dippel fashion designer who’s worked with surf brands like O’Neil and Quicksilver after having a baby and moving away from a fashion hub she wanted to try freelancing she didn’t have any luck with her existing contacts so she turned to UPWORK where she successfully feet landed a few ongoing clients that have kept her consistently busy in the interview Kim shares how to land your first few gigs on UPWORK why honesty and transparency is essential to building relationships and how to raise your rates with new clients. Kim: When I would reach out to clients I would say you know this is my hourly rate you know I’m willing to negotiate a little bit and then we would talk further so I would say okay you know maybe for this project I’ll do it for five dollars less an hour you know and we would negotiate that but it was only for that specific project. Heidi: Before we jump into the interview I want to remind you, you can help the show out and make it easier for others to discover by leaving a rating on iTunes if you enjoy this episode I’d really appreciate it if you take sixty seconds to do that visit SFDNetwork.com/review to leave your rating and thanks for your support and help to access the show notes for today’s episode visit SFDNetwork.com/16 now onto the interview with Kim. Thank you so much Kimberly for joining me on the Successful Fashion Designer Podcast I’m so excited to chat with you and everything you’re working on why don’t we get started by giving why don’t you give yours give a quick introduction of who you are and what you do and your experience in the industry. Kim: All right my name is Kim Dippel my married name and I have been working full time in the industry for over 12 years now. I started at the Fashion Institute of Design and Merchandising, FIDIM as most people know it in LA and I did the 2-year course there and graduated in 2004 and then just kind of jumped in both feet first most of my experience in the industry thus far it’s actually pretty mixed but most of it lies in the surf industry I’m from Orange County and that’s where I’ve lived pretty much most of my career so been working in the surf industry full-time and then in LA for smaller companies as well so kind of have a mix of working for super small you know kind of grassroots startups to more established bigger corporations and right now I am just on my own freelancing. Heidi: That’s awesome. So, I’d love to talk a little bit more about and you know you had a great breadth of experience in the industry working for a variety of different brands and that was mostly in LA is that correct? Kim: Kind of half-and-half I would say most of my career now has been actually in Orange County in the surf industry but it’s kind of like I’d probably say 60/40. Heidi: Okay, so LA Orange County area and then I’m not mistaken your family moved and that’s when you kind of decided to do freelance so is that what happened? Kim: Exactly yeah a year ago we moved up to San Luis Obispo County and we’re living in Pismo Beach and there’s not you know really much of an industry here I did work for a golf apparel company on the women’s side for about six months and then it was just kind of got hard with child care we have a two-year-old daughter and in all that stuff so I had the opportunity to stay home and I decided I wanted to keep you know at least a foot in the pond I didn’t just want to stop working altogether so I tried my hand at freelancing and it’s actually going pretty well. Heidi: Yeah. So, I’d love to talk a little bit more about like what that process was like because you live from you know being a full-time employee or working as some type of employee status for most your career and then tell us about your journey into freelancing like what did you try what worked what didn’t work and kind of where you’re at now? Kim: Yeah. So, I’ve made the decision probably about two months before I actually quit the job at the Golf Company I just knew it wasn’t working just wasn’t working for like my life and I needed to do something different and so I did a little bit of research and I found upwork.com which is a website that kind of connects freelancers to people looking for freelancers and there I know that there are a couple other websites that do that as well I didn’t really I found out UPWORK the jobs on there to be a little bit better suited towards me so I went with up work and I just created a profile and that’s honestly where I started and I just started kind of like reaching out to you know the different job postings and you know kind of bidding for these different jobs and most of them were just super small you know didn’t pay much but I needed to get a little bit of experience under my belt so you know I did some things I did logo design actually for this one girl and I’m not even a graphic artist and she knew that and I told her I’m like look all I’ll give my best shot at it and it ended up going really well but I even did some things that were kind of you know not exactly what I wanted to do and then I ended up I got really lucky I found two clients that now I just work with you know I don’t work on up work anymore because they keep me very busy I work one-on-one with them and right now it’s great for me because kind of the exact hours that I need you know staying home with a toddler is really challenging right now I’m only doing like two at best like three hours a day of work so it kind of works for me and I could do more with them which is cool so when that you know when those kind of life situations change you know there will be more work for me hopefully. Heidi: So, I really, really dig into the whole awkward process that you went through and kind of how you strategically worked through you know getting those clients and then maybe taking them off of up work and figuring out what your rates were because I think one of the challenges that that a lot of people seem to express with UPWORK is that you know there’s a lot of people on there willing to do work for nothing or there’s brands or small startups that expect you know this really, really, really low price so you know did you see some of those challenges and if so how are you able to sort of I know you said you did some like small low price projects and you did some stuff that was a little bit outside of you know what you exactly wanted to do but talk a little bit about you know how you got started with that and then how you were able to progress and get those clients off of UPWORK and maybe increase your rates or you know I don’t know what your exact setup look like but take us through that process a little bit. Kim: So, at first I was willing to negotiate my rate you know like I had said I was willing to take smaller jobs make up a little bit less money but you know there’s a lot of people on UPWORK and the people there you know the clients that are looking for freelancers have a lot of weeding through to do as well and just from kind of talking to them it can be frustrating the one thing that worked for me that pretty much every client had said was I saw your website and I loved it so I think that the I think the first thing you know if you’re looking to go into freelance you know create yourself an awesome website I use Squarespace I’m not a web designer you know I don’t like code or anything Squarespace is great if you’re okay you know if you want that look you know it’s a very specific look if you want that look then it’s easy and awesome and I made mine on Squarespace and it turned out beautiful and that’s really been kind of the thing that’s snagged I would say 90% of my clients and kind of set me apart you know you have your profile on there and you know and I didn’t on UPWORK I was pretty I was reasonable but I wasn’t low-priced so I would say right now like I’m pretty good at my hourly like I could you know I could I could definitely bump it up a little bit but I feel like I’m kind of at that sweet spot where people don’t run away from it but it also you know doesn’t really attract the people that want to pay you five dollars per project but yeah I mean in terms of just my I would say this the strategy that kind of hooked most of my clients was my website that’s what they’ve been telling me. Heidi: Oh, that’s great. So, I’ll link to your I’ll link to your site in the show notes and can you just say what the URL is for everybody listening but I’ll definitely put it in the show notes as well. Kim: Sure. it’s http://www.KimberlyDippel.com it’s K-I-M-B-E-R-L-Y-D-I-P-P-E-L.com. Heidi: That’s great. And so you know without us having a visual writers we’re talking you know do you think there was anything specific on your site I mean it’s a beautiful site but do you think it was like how you presented your portfolio or how you presented you know sort of like your resume of experience or was there anything specific on the site that stood out to people? Kim: I think the what I’ve heard is that the overall kind of vibe of this site it’s kind of it’s like feminine and class I think the overall vibe is very like cohesive from like the color scheme and everything I think that kind of catches the eye and then I’m lucky enough to have beautiful photography of the collections I’ve designed which really helps from you know look books and all that I had access to those images and were able to use them on my website and that you know that’s a huge thing right there I mean I’m sure if I had you know an incredible illustration as like the home page that would also be eye-catching but I think that the images really helped and then it really showcases I use pictures and images and designs that really showcase you know who I am in kind of my style and where I come from but I also wanted to show you know diversity that I’m not just you know in this one bubble I can you know designed for a variety of different clients and you know with different styles but I definitely have my own perspective so I tried to keep that from the font the color seem kind of you know everything to really show Who I am. Heidi: Yeah. Well and I love the you’re actually the second person I’ve had on the show who’s mentioned you know the power and strength of using those marketing images like the actual photography I mean cats are great flats are great but there’s you can tell such a stronger story with those marketing images so the value of using those if you have the ability to as a designer to really showcase the finished, finished product. Heidi: Okay. So, that’s great and so you put together a really cohesive sort of well branded presentation of yourself on your site to really show who you are and what you do and your design aesthetic and that obviously I mean you’ve heard feedback specifically from the people you’ve done work with that, that was sort of the impetus that pushed them over the edge to want to work with you so kind of going backwards a little bit I’d love to talk a little bit and you don’t have to share any numbers if you’re not comfortable that’s absolutely fine but just in general like okay you started if I’m not mistaken from a conversation we had earlier like you started at a lower rate just to get some projects and reviews and then you slowly increase your rate so can you talk a little bit about like how did you explain that to some clients your working with and what the whole like price raising process was likes I think that’s a scary spot for some people they’re like oh well if I start it you know X dollars an hour how am I going to explain if I need to raise it and so what did you do to kind of walk your customers through that journey with you? Kim: …but yeah that’s kind of how I did it in the beginning was kind of per project and I was just very honest. Heidi: … yeah, that’s a great strategy. Kim: …so I think it would yeah I think it would have been more difficult for me to do that a few years ago but I can kind of play around with it now which you know is a nice kind of a luxury. Heidi: Yeah. And so talked a little bit about like what types of clients are you finding out there on UPWORK is that are you doing all sorts of startup work or is it working with some established brands and I’d love for you to talk a little bit about you know what are the difference like what are those projects kind of look like, like what are some the differences you as a freelancer see in terms of like what you have to manage working with one type of client which is another type. Heidi: Yeah, so I was gonna ask you like what are some of the red flags when in terms of like the initial sort of communication process or the bidding process like what are some the red flags with some of these clients that you’re like you know maybe this isn’t a good match for me. Kim: …and you know it would either still you know would either go okay like okay these people are serious about it or it would just be a disaster and I would just you know say okay this isn’t working and that’s only happened a few times. Heidi: Okay. And so it sounds like you said most of the work is startups and so know I think for a lot of designers out there who maybe are going into freelancing for the first time you know perhaps their experience is working with some established brands as an employee where you have a full team and everybody’s been doing this for a while or at least you know your boss start at brand and some your coworkers and managers and things are established and internally you know little things down to like trims and fit and stuff has developed that you’re kind of holding over and over and so then to contrast that against a start-up how are you as a freelancer you know finding some of these processes different than working internally for perhaps even freelance first startup brand and what are some of the things you’ve learned in terms of like how to manage that process or how to manage the client better or anything like that what’s that been like for you? Kim: …so depends on the client. Heidi: But a lot of times it sounds like they look at you as the expert and they look at you for the consultation and the guidance and the support to help navigate them down this path whereas working with an established brand you know might be more than just giving you this specific task okay we need you to draw these we need you to come up with you know eight concepts for this this item or something. Kim: Yeah. Working with an established brand where they already have all these guidelines and you know procedures like you said they’re you know internally they’re pretty set you kind of just like ride the wave and do what they need you to do but yeah I’ve found with startups it actually is more work mentally and in for correspondence you know you’re explaining things a lot. Heidi: And so, how do you track your time in terms of like in terms if they call you and your hop on a 15-minute phone call are you tracking your hourly rate for that or if you spend you know even just 10 minutes answering an email but then you do that ten times a week that adds up to a couple hours and so how are you like really managing all of that just the correspondence portion of it? Kim: …and there hasn’t been an issue with it. Kim: …it’s not that big of a discrepancy it hasn’t been an issue for me yet. Heidi: That’s great so I want to remind a little bit and like go back a little bit more through the upward process in terms of you know kind of digging through all the jobs that are posted and then sending out your bid or your pitch or your proposal and so you know I think it can get a little overwhelming or I shouldn’t even assuming that so I’ll let you explain but like going through all the jobs that are posted on there like what are you looking for is there a way you figured out to kind of like felt you see something you’re like okay well that’s just I can just kind of tell us about that’s not gonna be a good match that’s not even worth my time to bid that you know what has that whole process been like to even filter out the stuff that you think this could be a good match? Heidi: …yeah, how professionally did they present themselves is a really good indicator of what they’re probably gonna be like to work with? Kim: …but that’s usually I found. Heidi: Yeah, and then did you do anything strategic and like the actual I think on a portrait they call it a bid this job like within your bid or your proposal right up was there anything who did to kind of standout especially for those first few jobs that you were trying to get before you let’s say before he had any reviews or ratings? Kim: The thing that worked for me I think is that in the you know I would kind of start out with I think like the first line that you write and it really has to catch their attention like in anything you know they’re getting you’ll you can see how many people applied to jobs I mean sometimes it’s like 50 200 sometimes it’s like 500 I mean it’s kind of crazy so I would kind of start out with like you know I am I can’t remember exactly what I would write but you know I’m an apparel designer with over 12 years’ experience full time experience in the industry I’ve worked for notable companies such as you know that would go on to say Quicksilver Emil and you know when they see those names if you were if you’ve worked for a company that has you know any type of mass appeal or people you know it’s a household name I mean I think you need to include that in the very beginning because that’s eye catching and people say okay this person is the real deal like they’ve worked for this established company they obviously have some great experience and they’ll keep reading so I kind of tried to like get those things you know I’ve had a lot of experience I’ve worked for these companies and then obviously I would always include my website at the bottom. Heidi: Oh, right in the proposal? Heidi: …that like a reason people decide to work with you? Kim: …know people are going through these things fast too so I didn’t make it too long I didn’t make it too short and then I tried to make just going to the website very easy. Heidi: Yeah, and so then you would maybe let’s say a conversation was initiated and then you would talk through it and then and obviously you don’t land every job but you landed some and then you took those you took some of them off of up work is that correct? Heidi: …and it’s a great service out there so I don’t mean to like discount what they’re doing it’s a great service for everybody to kind of connect and find someone to do their project or find a project to work on but at some point you’re kind of like oh I’m paying this fee over and over it’s just quite a bit. Kim: …you know I would always have like information about their business like their business address and make sure they’re you know legit and then you know we would kind of talk about it and I would say okay look I am you know I’m willing to work off of up work you know if you are and then I would I sign like a contract with one of my clients who I work with a lot it was, it was, it was very loose it wasn’t binding or anything but it was kind of saying okay you are gonna be a contractor for us and you know kind of by spelling out you know the details and in rate stuff so like my rate was locked into this contracts it was not binding at all it wasn’t anything like you didn’t do work for us for three months and you know it was like this this can be you know basically terminated at any point by either party but it was just very you know it was kind of like okay you know this company’s legit this person’s legit and I feel comfortable at night I just really used my gut instinct and I has been fine I have not had a bad experience yet but I kind of knew when it was time and there were certain things that made me feel you know very comfortable doing so. Heidi: Okay. So, yeah. So just having something in writing kind of can make each party feel a little bit more secure but like you said it doesn’t have to be anything super fancy legalist it can just be you know something that that you both are agreeing to. Kim: …sorry I can’t really speak to that. Heidi: No. no and that’s absolutely fine and that’s something that you know perhaps there’s some basic templates or something online that you could probably use as a starting point so it seems as though you know going through UPWORK and then getting a few stable clients was a great process for you. Kim: …so I just didn’t have any luck with my contacts at the time I was looking for it. Heidi: Got you. And so you know did you have any challenges with UPWORK in terms of like you know like when you were first getting started did you feel like there was a period where you were like oh I’m just applying to so much stuff and I’m not really hearing back or you know where there’s some frustrations initially to kind of get things kick-started? Kim: …but yeah I mean my two main clients keep me really busy and I found both of them on UPWORK so. Heidi: Well and I like hearing that because you know I think that it can be really discouraging to apply and not hear anything for a week but like you said you know you just have to get those couple and so at some point like you I mean I think you need to make sure that like what you’re sending out is good and so you might want to I don’t do I don’t know did you experiment with like how different ways you wrote your pitch or see what got more responses versus less responses or anything you just kept sending the same thing and then finally it stuck? Kim: …and that’s yeah that’s kind of what I did and it seemed to have worked pretty well. Heidi: I got you, and so not just sending a generic template over and over. Kim: …you are or else you’re just gonna find yourself in a pickle. Hedi: For anybody. So, one other thing I would like to just touch on really quickly is the NDA because I have heard mixed feedback from designers or even like factories when they get asked to sign an NDA and so you know that was something that you said actually impressed you about the project or the client and made them look you know really professional and that they were I think maybe you said something to that extent but you know as you as a designer did you ever feel nervous with that like that was like locking you into you know and this is a generic example of like let’s say they want they’re designing some activewear legging and then you know what if somewhere in hidden in that NDA is saying like you can’t design leggings for another brand for a year or something you know some type of like non-compete clause did you ever feel nervous about that or did you have a lawyer review those documents or what was that like? Kim: …with yeah if I did I would probably call it out and say you know hey we need to talk about this part because this is making me feel you know kind of uncomfortable and but yeah I’ve only signed two of them so far and both of them have been very yeah basic and basically just you know don’t talk about our ideas and you know put it out there to the world before we’re ready. Heidi: Sure. and it sounds like they were written and like plain enough English that you read it and you could understand exactly what it meant. Kim: …we were yeah they were pretty, pretty clear and basic and I could understand them so okay so I don’t feel like she needed a lawyer. Heidi: Yeah, no I just you say in the end and I picture like you know like you said a 15-page like legal jargon document that it’s like what am I signing like I don’t even know what half this means okay so that explains that quite a bit better? Heidi: Okay. Awesome well that’s fantastic. Anything else you want to share about your experience or process with UPWORK or any other advice you’d give to people who are trying to get started on that platform? Kim: …and then anything after that I’m charging my hourly rate. Heidi: Okay. Yeah, that’s a great that’s a great tip so include one round and then let them know like you’re happy to make more but it’s gonna be an additional fee. Heidi: …that’s great and then the other thing that you said that I just want to reiterate which i think is great advice is sort of that initial negotiation to do the first project at a lower rate but going in and being very honest and transparent and clear that okay we’ll do this at this rate but then assuming everybody’s happy working together we’ll move to the regular rate because that’s a great way for both of the parties you and the client to kind of test each other out. Kim: …but it worked for me. Heidi: Yeah. that’s great that’s great and maybe like you said maybe making sure that it’s a smaller project or that you could get to like the first milestone and then you know that if it didn’t work that would be a comfortable breaking off point it was something kind of big that you didn’t want to do that lower hourly rate for too long. Kim: And just another thing I’ll note this is kind of like a I mean it’s on subject but it’s kind of a detailed thing that I initially didn’t really think about and add into my time if you like let’s say you’re doing tech packs and you know you’re gonna send that final tech pack in a PDF let’s say you have let’s say you do part of the tech pack in Illustrator let’s say you do the specs and everything in Excel make sure to think about the time it’s going to take for you to save all those and put them into a single PDF because it can be time-consuming and for my first big project that I quoted like a flat rate for I kind of forgot about that whole part of the process independent money tech taxi do it didn’t work. Heidi: Yeah. To package everything up. Kim: …that’s one mistake I made I was like oh man. Heidi: I still have to package this all up and merge all these documents together. Kim: Yeah exactly, this is to be slow and there are shortcuts but it still takes time. Heidi: Yeah it doesn’t like you said especially if you’re doing a big batch so maybe like really thinking about every step of the process that it takes to go from zero to finish for the project which you know sometimes you miss something and that just took longer than you expected I’ve had that same thing happen with project based fees before so you know it happens and you learn from that and then you can adjust next time. Heidi: Yeah. So, great tip. Thank you so much Kim this was really awesome share again where everybody can find you online. Heidi: Awesome. Perfect and I’ll put links to that on show notes and I would love to finish with the question I ask everybody at the end of the show and it takes some people for a minute to kind a think about their answer so no rush or pressure but what is one thing that nobody asks you about working in a fashion that you wish people would ask about? Kim: …and then there are you know product line management programs that some companies use and you kind of just learn those at the job there but it’s very computer oriented and it’s a lot of tedious work that I found myself doing. Heidi: No it’s a great point a lot of your time is spent like making revisions in Excel or revisions in Illustrator or updating things in Excel and correspondence and like follow up and managing just certain tasks and yeah you don’t got to spend as much time doing just the creative awesome design stuff that I think a lot of people imagine goes on behind the scenes. Kim: …it’s really going to help you a lot it based on the design side. Heidi: Yeah no that’s great that’s great and I’ve heard people say similar things to me someone made a comment I think on an Instagram photo I just posted that you need to know Math is like she’s a technical designer and she’s like who would have thought but you need to have some basic math skills to do some of these things and I was like it’s so funny like all the things that you don’t think about. Kim: Yeah I know your fractions and your centimeters and yeah totally. Kim: Yeah, thank you much for having me it’s been really fun. Heidi: Awesome. Thanks Kim talk to you later. Kim: All right okay sounds good. Heidi: Thanks bye, bye. Thanks for listening to episode 16 of the successful fashion designer podcast if you’d like to learn more about any of the resources mentioned in this episode visit show notes at SFDnetwork.com/16 and since you made it this far you must have liked the episode if you can take 60 seconds to leave a review on iTunes it helps the show a lot it makes a podcast easier for other bpeople to discover it’s super easy to do and I’ve really appreciate it there’s an SFDnetwork.com/review to leave your ratings thanks for your support and help.